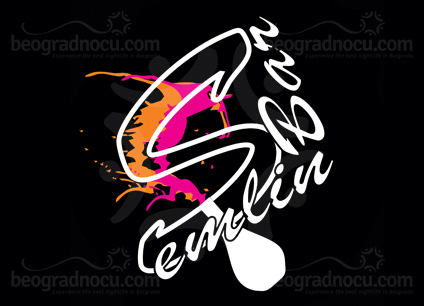 Semlin Bar is located in Prvomajska Street No.10c, in Zemun. Semlin Bar is a place where you can enjoy in a perfect cup of coffee or in a large selection of non-alcoholic beverages during the day, so as in a unforgettable night out. This remarkable place where you can relax or have ‘a cup of good gossip’ during the daytime, tends to become a synonym for a great nightlife of Zemun. Semlin Bar works every day from 9 in the morning up until 1 a.m. of the night. During a weekdays it is a quiet and peaceful cafe-bar, an ideal place for private or business meetings, whereas it becomes a hip bar which can compete with top-level night clubs. Semlin Bar has had a three very successful seasons of unforgettable fun. Our guests are already accustomed with a quality music programme, focused on 90s House, pop-rock and domestic pop music. Semlin Bar provides fun and enjoyment for its guests with very affordable prices. One of many benefits this bar has are special discounts during the day, until 4 p.m, when you can have an espresso for unbelievable 75 dinars, NesCaffe for 95 din, Coca-Cola for 105 din. Beside this extremely low prices, Semlin Bar is famous for its very hospitable staff, who will always make you feel welcome. Bar’s interior is designed so that guests can enjoy comfortable boots, sitting and standing tables and spacious bar counter. For our guests we provide free wi-fi, so that our guests can share their impressions with their friends via social networks at any time. Semlin Bar has a spacious open terrace which accepts around 50 guests, so as an indoor space with capacity of 150 guests. Semlin Bar also has a parking space, which is available free of charge for our guests. Semlin Bar is the only bar of this type in the upper Zemun.